The user interface is easy to navigate through, has a reasonable amount of functioning options that let one track business, statements, invoices, and employee time. The interface does not work well, there are too many issues that block off certain functions from happening. Meaning valuable information is not able to be extracted or analyzed. Also, the fact that everything is a new tab instead of having it in an analytic form (or having the option to do so) is quite frustrating. Know your needs first hand, ask the tough questions and layout what you need from this software and/or its accompanying features. The benefits of having ajera is having a system that connects all data bases. However, more problems are currently arising with the nonfunctioning and slow troubleshooting updates of ajera. We've realized that having this sort of system in place for our business is highly important with its minor analytic properties, but unsure if ajera is able to keep up with its own software. "Great Experience with this Program "
It's user friendly, tabs are easily laid out so it is easy to find just what you are looking for. Sometimes it takes a while to load and there are multiple screens that pop up. This is an easy program to use, it has specific tabs for time, generating reports for all of the projects you have saved and can bill hours to. It also allows for tracking personal/vacation/sick hours and you can print your time sheets right from the program. Tracking project hours and billing towards a project. Also keeps track of hours of a work day, personal time, sick days, vacation days, and if you are in training for your job. "Good program and has been developing over the years"
Good for tracking project hours and billing. 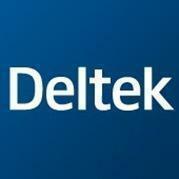 The program has been getting many upgrades since around the time it was bought out by Deltek. The program has much improved (as I wasn't happy at the beginning) and the cost isn't as high as some of its competitors. Customer service is in the US, so there haven't been language issues. We were Deltek Wind2 users prior to Ajera, and it had many capabilities that I still don't have in Ajera but there have been many improvements/upgrades made since then. Finance charges handling still has room for improvement, as you still can't run an invoice for finance charges only. And finance charges aren't included on statements, which is an issue. I have to do a work-around which involves many steps in order for finance charges to show on statements. Ajera also does not do well with the HR side of the business. It doesn't give you alerts when employees' reviews come up and it isn't good at tracking history other than having to enter notes on their record. Do a thorough review of the software package to make sure it has all the capabilities you require. Do comparisons, as cost isn't the only factor of a good product fit. Billing and collections.. It's a good program for billing hours or fixed fee projects, and many other types of projects. There is flexibility for billing projects, so it's good for a business using many billing types. "Great concept, but some trivial issues are holding it back." Easy to organize time into the correct project and phase, and get reports showing how time is being used across everyone on a project. It's "cloud-based" but still requires software to be installed on a computer, rather than being native html. The requirement of ONLY using Internet Explorer is also ridiculous. It's an aging web browser that has even been replaced with Edge by Microsoft. There are numerous small annoyances such as tabbing/entering through the table, filters are clunky at best, and the loading times between each screen are frustrating. There is no native app for Android or iOS, instead it is an incredibly simplified website, which only allows for entering time, and nothing more. This is slowly becoming a good option, but is still being held back by many small issues and annoyances. Moving from the old Deltek Timekeeper was a big leap, and we've been able to get much more data about where we are spending time on projects and budget accordingly. The Ajera software is a great software for small firms who are ready to take the next step in project management. It is very customization, and has a great credit card import feature. The support is very helpful and willing to listen to your opinions as they improve upon the software. While I highly recommend the software, the program's schedule manager has some room for improvement. It does not have a priority rating. However, there are work arounds, if this is a must for your firm. Join the users group before you go live for third party advise on the software. Do not jump into the software before your administrators are comfortable with it. It is a very large software. Listen to the advise of the consultant. Ajera has cut reconciling our 20 credit cards down to a few hours with their credit card import feature. It has also decreased the administrative time needed for client invoicing, and allows our accounts payable to easily keep track of the many invoices that need paid. I have been using Ajera for 3 months and have zero complaints, thus far. The system is incredibly user-friendly and streamlined. I am new to the accounting field and Ajera has really helped me to understand AP/AR just by how it is laid out. I can't rate it a 10/10 since I have only been using it for 3 months, but again, no complaints yet and I would certainly recommend it. Because I have only been using this system for 3 months, I have not encountered anything I do not like yet. If I had to pick something, I would say that client invoicing can be a little challenging when you need to make edits, but again - that is most likely user error and not the system itself. accounting, payroll, employee time sheet management, project management, client and vendor invoicing, etc. "Great Accounting and Project Management software"
profitability and other metrics can only be tracked over life of a project--not necessarily by year or quarter (we have several multi-year projects), unless given separate invoice groups or project numbers. The newest update allows emailing invoices and customization of invoice templates which will be a great time saver for us. The customization of invoice templates is also of interest to us and we are looking forward to experimenting with this new feature. If at all possible, schedule time at a training session for Ajera. Several of our employees were able to go to a multi-day training, and felt like they benefited from it. AJERA helps us keep our projects and billing all in one place. Within the last several years, we've worked on adding attachments of contracts, insurance certificates and W9s to our vendor, client and project records so all of that information is readily available to project managers. We have been slow as a company to utilize a lot of the other features AJERA has to offer. "Keeping your accounting in order "
"Excellent software for construction management & payroll"
Ajera makes it very easy to enter time (with notes) and submit timesheets, even remotely. This is a big help as we have several employees out in the field for extended periods of time. I wish that there was an easier way to organize large groups of information so that we could create a catalog of project information including descriptions. Ajera has a variety of different options to suit any business. It takes a little time to utilize all the features, but they are always available to provide additional help. Ajera provides an all in once place to search for project info, input new projects, pull reports and input time. I love widgets to organize and display data. Lots to learn, spend the minute to go to conferences for key employees as well as workshops. Utilize networking!!! ERP / CRM, everything about the business are in here. Slow to load a lot of times, server require frequent reboot. Patch management are not available, I have to buy another module as a result. Expensive (very much). Installation is complicated, need a full time IT to help us manage the system. The layout is straight forward and easy to navigate. Many operations are very similar, making it easy to use. Take advantage of the trial period to really work out how you want projects set up. All the phases can get crazy when it comes to billing. Time and project management have improved. It is easy to track the progress of a project or view employee time sheets. "Perfect for Accounting & Timekeeping"
It is easy to keep track of time and keep track of invoices sent out. I wish it was easier to filter through things when looking for invoices. Excellent program to use and very easy to use! Highly recommend! This program helps to keep track of multiple invoices that are sent out each month. The user interface isn't intimidating to me, but then again, I am somewhat computer savvy. Some of the features you have to have intense training on. I am with small firm and we probably only use about 30% of the software features, but it seems that when training webinars occur, there are lots of questions. We needed a software that provided all aspects of the accounting side, but then we realized we were lacking in our previous software in being able to track other things. It has been a good software to have, because now we can keep accountable on capital limits, and other items we previously didn't have implemented in our software. "Excellent project based accounting software"
excellent for the small to medium sized AE company, who has graduated from Quickbooks, but is not ready for Deltek Vision. great analytical capabilities, and true project based financials. Project Management tracking, ease of report and dashboard designing. This program needs to be a little more flexible for moving time from one phase to another. "I use Ajera to enter in hours worked on projects." The simple spreadsheet layout is easy to use. It looks a bit dated and will sometimes crash. We can hold employees accountable for what they spend their time on at work and track hours on projects to stay within budget. Not being able to back out transactions without leaving a trail. In Vision, all we do is "unpost" and it makes our GL look so much cleaner and easier to follow transactions. Have debits and credits gets confusing when all we need to do was make a simple correction. I love the ability to manage products in a way that is logical, organized, and accessible to all. I honestly haven’t run into things I don’t like about it. Sometimes the steps are tedious and time consuming but it ends up making sure each product is well organized. "Used for eleven years; two full implementations. " Project Management is what I like most about Ajera. General Ledger is what I like least about Ajera. Make sure you are clear with your expectations. This is true for any product you are considering. "Great for project management; Not intuitive "
I like the ability to set up projects with multiple levels. The accounting portion was not intuitive. Get a good Ajera consultant (independent) to assist in the data migration. Tracking project status and capturing all billable work and expenses. * We monitor all Deltek Ajera reviews to prevent fraudulent reviews and keep review quality high. We do not post reviews by company employees or direct competitors. Validated reviews require the user to submit a screenshot of the product containing their user ID, in order to verify a user is an actual user of the product. Hi there! Are you looking to implement a solution like Deltek Ajera?